DAY 4 DIJON–PONT DU GARD–AVIGNON. DAY 6 NICE. 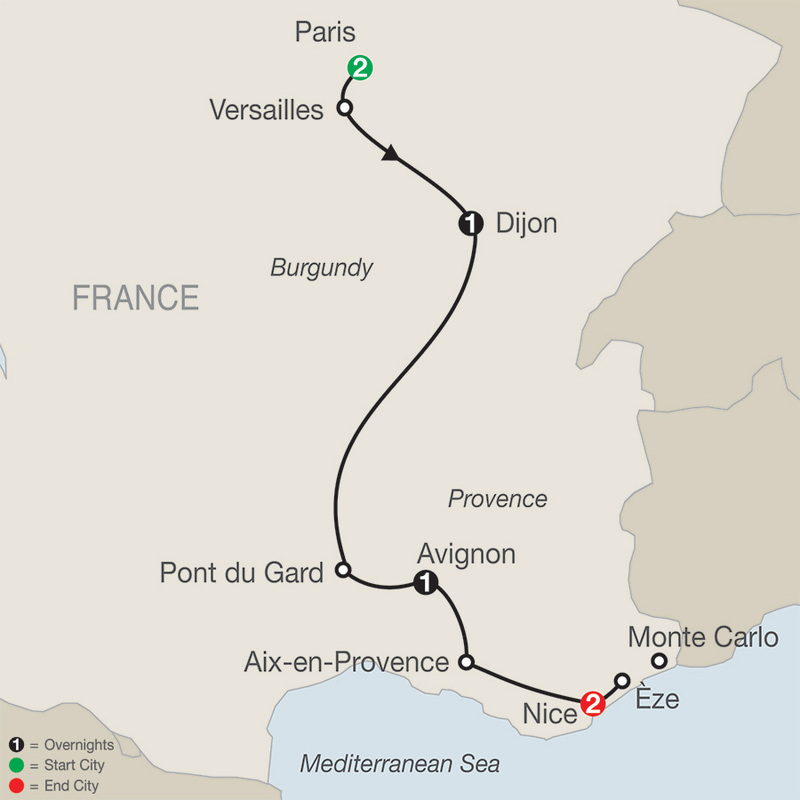 EXCURISION TO ÈZE. Located on the Left Bank near the Latin Quarter and Saint-Germain-des-Pres - Rooms feature contemporary decor. 7-story Hotel located near Congress Hall in city center. Located in the heart of Dijon with a peaceful rear garden. This hotel offers Free Wi-Fi access throughout and a selection of Burgandy beers and wines can be enjoyed in the intimate setting of the hotel bar. The Hotel Novotel Avignon Centre has 130 state-of-the-art, innovative rooms the hotel has a restaurant , a pool, a Spa with whirlpool bath, hamman, fitness and beauty area, and facial and body treatments . Close to the Pope's Palace, Pont d' Avignon and Avignon Opera House. Overlooking the 14th century city walls of the medieval city, close to the famous Pont d'Avignon and the Palais des Papes, this modern property has 106 rooms with a stunning views. Its restaurant overlooking a courtyard surrounded by historic buildings and beautiful plane trees offers French and international cuisine. A swimming pool on the roof terrace and a bar are also available. Free WiFi internet access throughout the hotel. This recently restored, 7-story hotel features 150 guestrooms and a rooftop terrace with seasonal swimming pool and amazing views over Nice. The chic L'Horloge Restaurant serves tasty local specialties prepared by Chef Julien Perrier; while the 7th-floor 7 Blue Bar is the perfect place to relax with a cocktail. Free Wi-Fi access is available in all guestrooms and public areas. This charming 110 room boutique property has an air of casual refinement with architecture from the 1920's. Free Wi-Fi access is available in all guestrooms and public areas of the hotel. Breakfast can be enjoyed on the sunny terrace of the outdoor inner garden and evenings can be spent relaxing in the jazzy atmosphere of the lounge bar.